After two years at its first location, as planned the City sold the property to a developer, Quartyard picked up its containers and moved off to make way for the proposed high-rise development. Quartyard intended to temporarily activate the original location as a placeholder for future development. The project relocated to another vacant City owned lot in East Village and reopened less than 500 feet from its original location. Proving the model of true temporary urban infill. 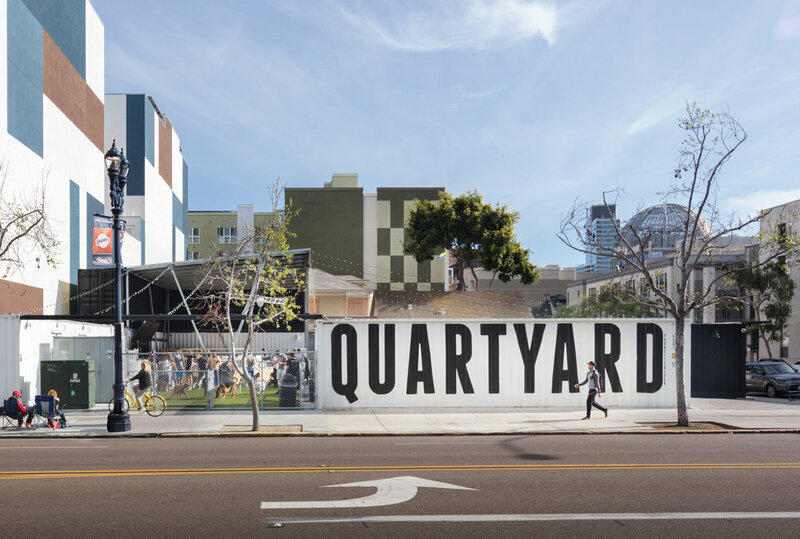 Quartyard remains in the neighborhood as a huge success for the community and as an experimental prototype for both RAD LAB and the City of San Diego.